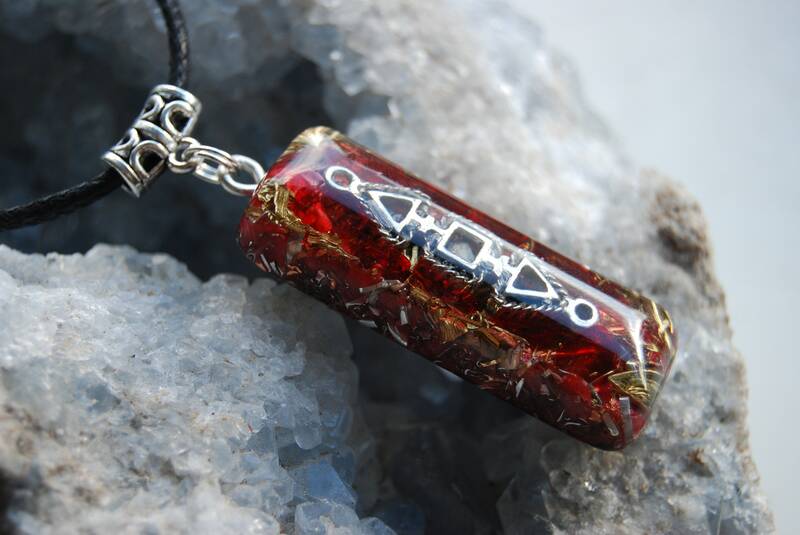 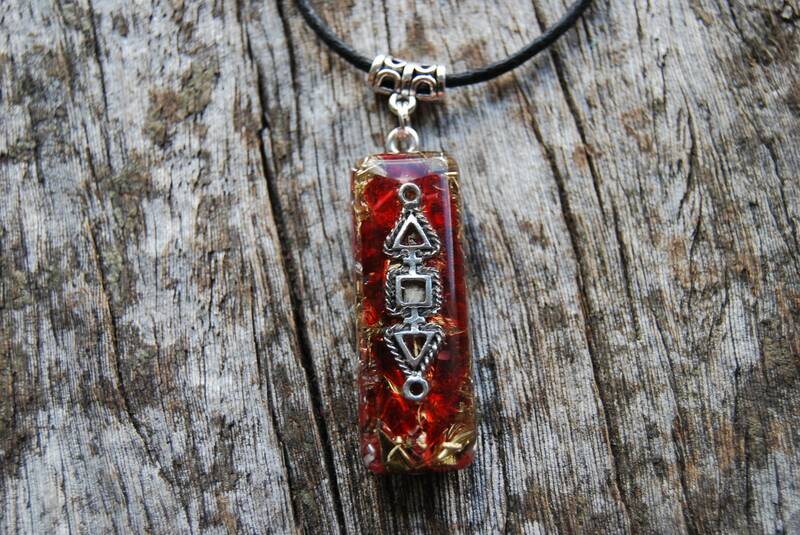 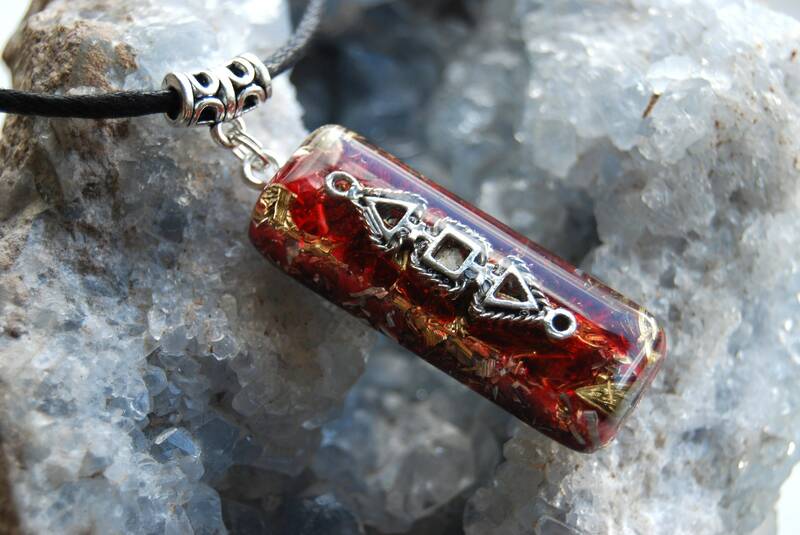 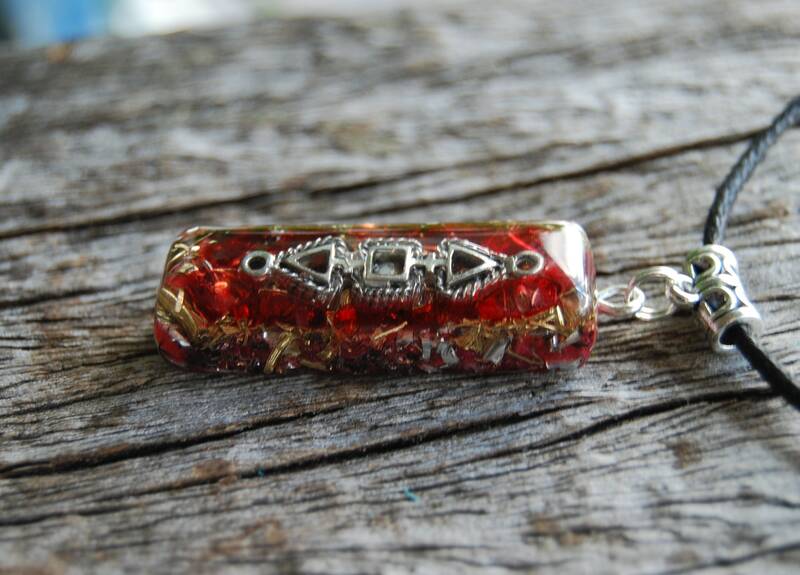 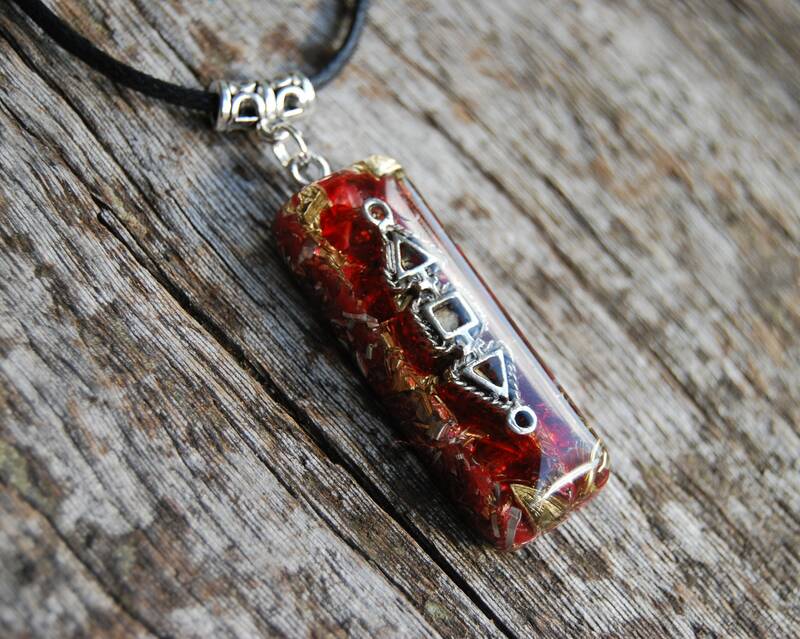 This unique Orgonite® pendant contains aluminium, brass and copper shavings, Selenite and red colored clear quartz all within n durable t resin setting. 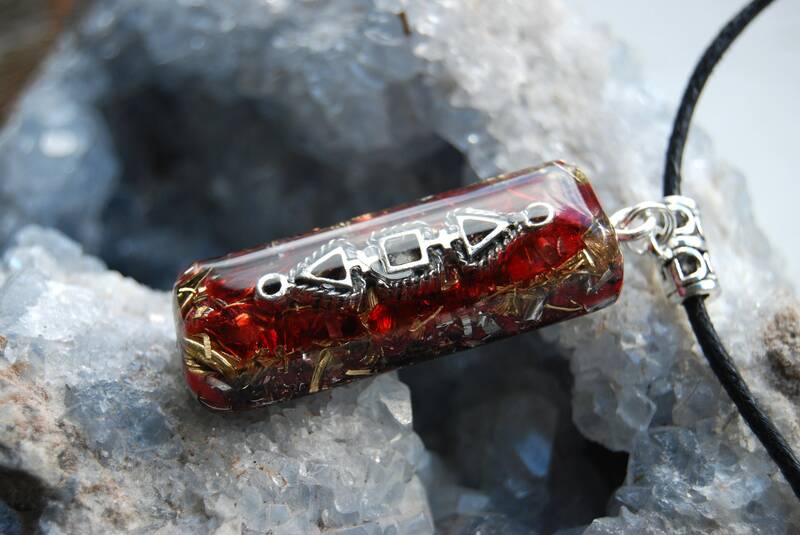 It furthermore consists of Rose Quartz (self - love), Pyrite (to enhance), Elite Shungite (protection), black Tourmaline (to protect and ground excess energy) ,Rhodizite (to enhance) and clear quartz (for piezo-electric effect) all within a durable resin setting. 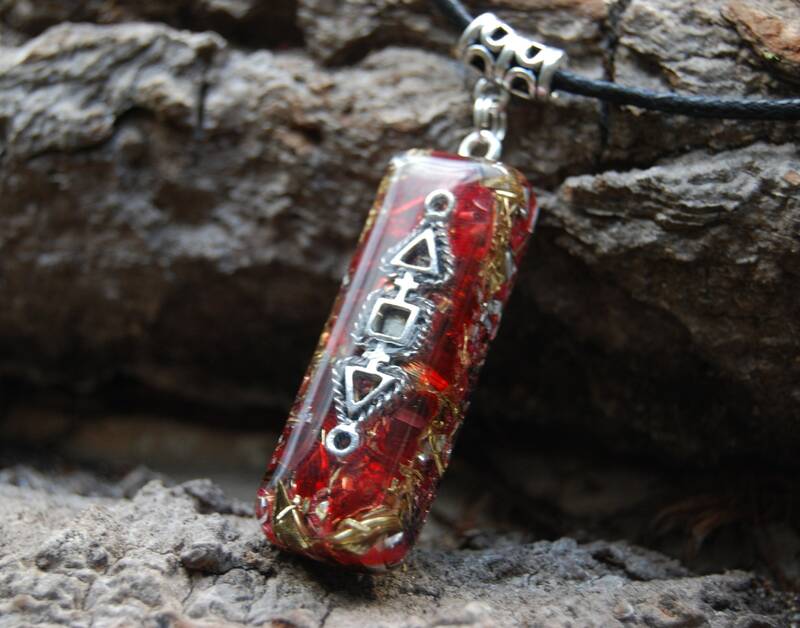 It consists of lots of metal shavings (bronze, aluminium, brass and copper) which is required for the pendant to properly clear stagnant energy according to Wilhelm Reich's research. 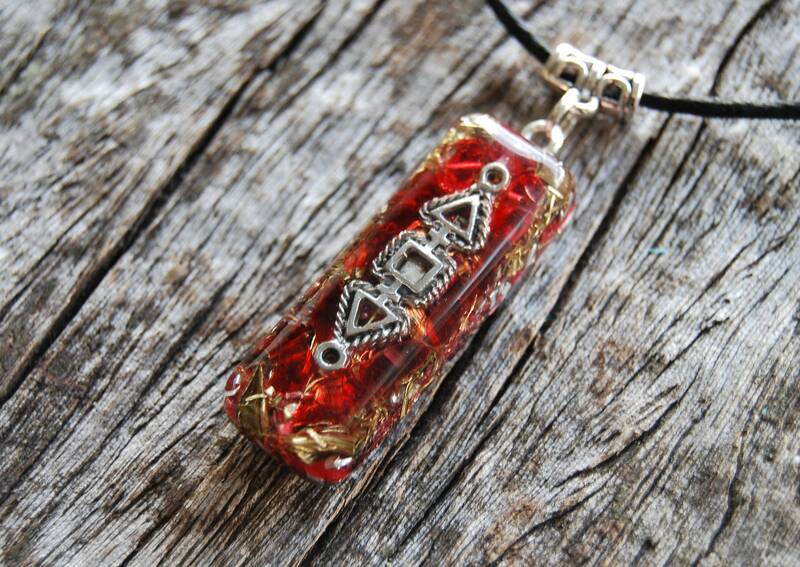 You will the pendant as shown in the pictures. 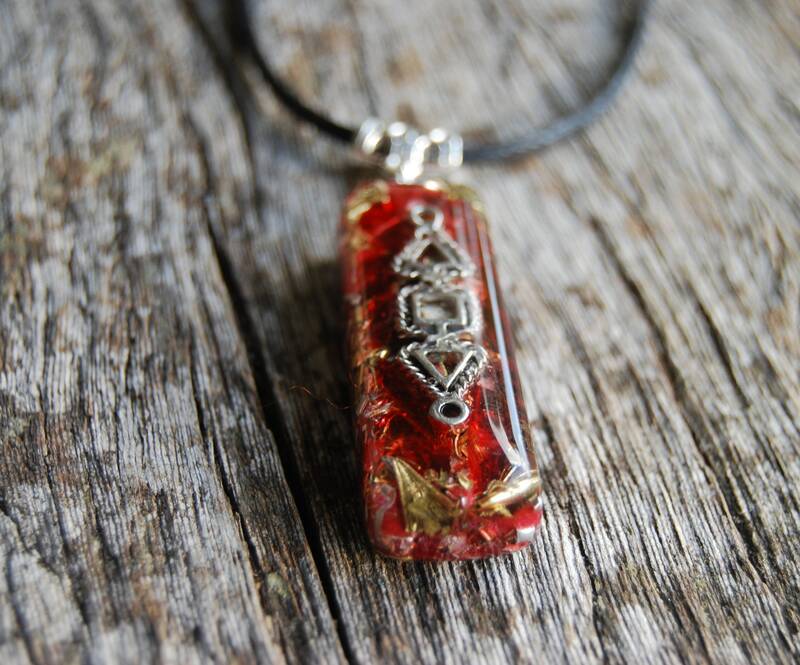 This pendant has been hand sanded through 11 sets of fine polishing paper so it is shiney and silky smooth. 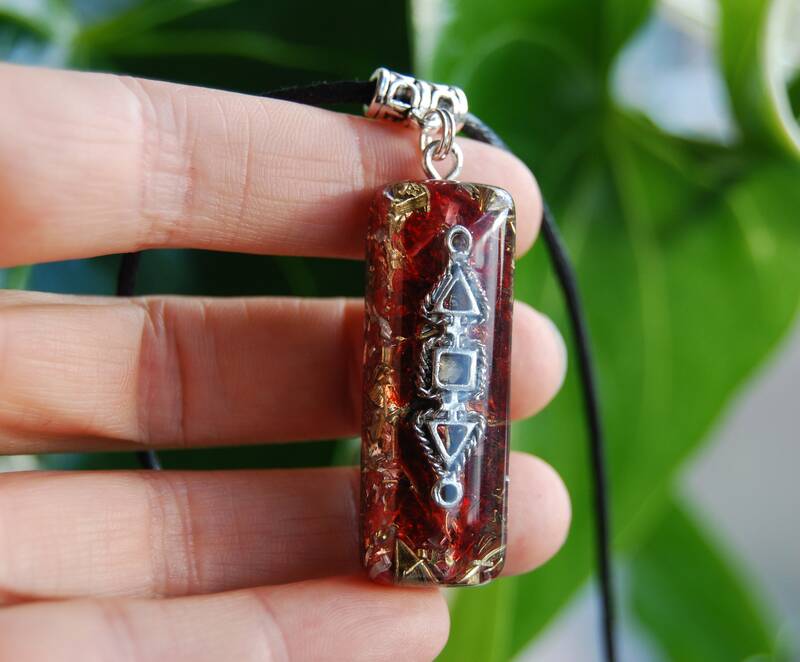 It is created with loving intent to transform people’s lives for the better.